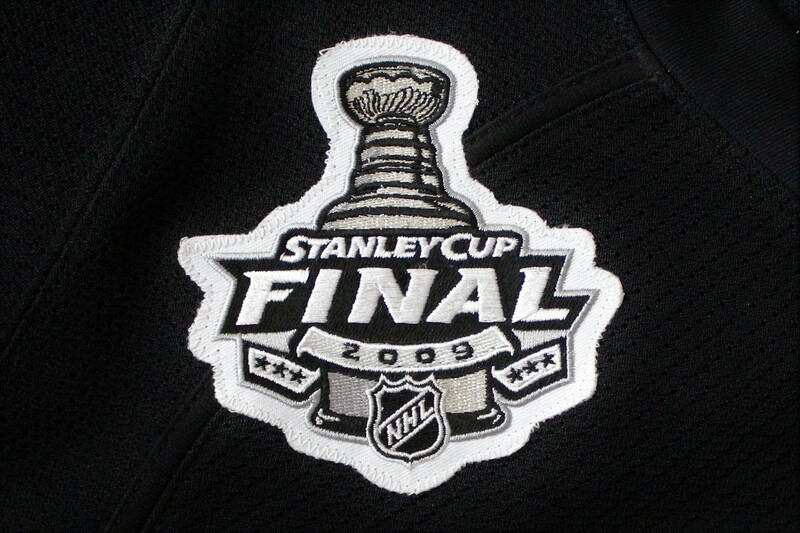 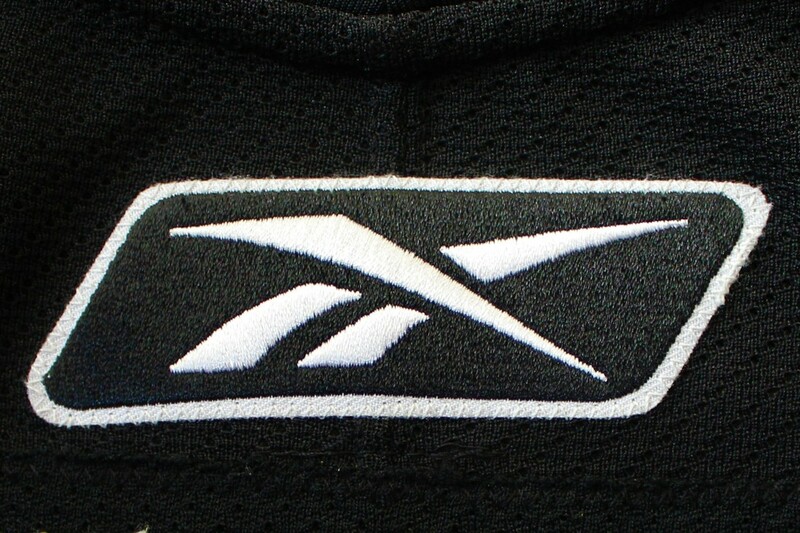 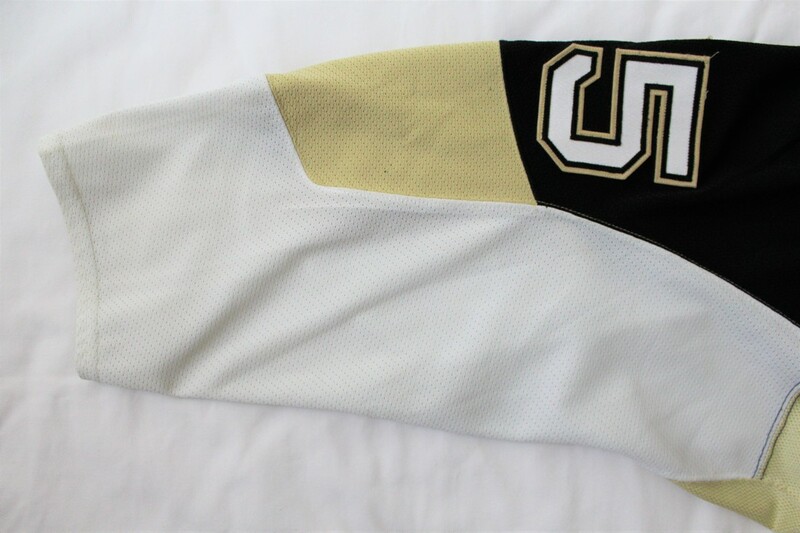 WORN DURING THE 2009 STANLEY CUP FINAL AS GONCHAR SCORED THE GAME-WINNING GOAL IN GAME 3 TO CHANGE THE MOMENTUM OF THE SERIES. 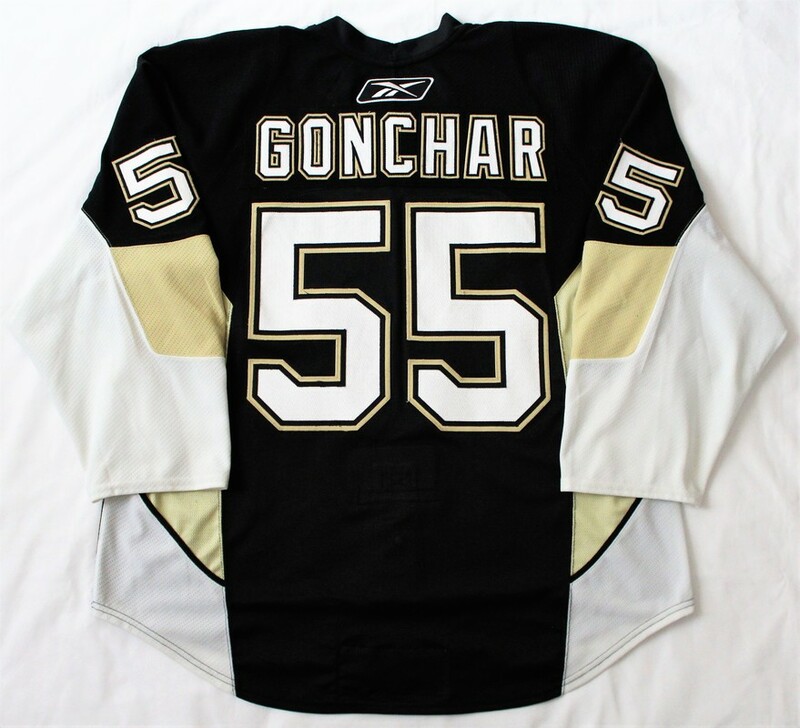 Sergei Gonchar joined the Penguins as a free agent in the Summer of 2005. 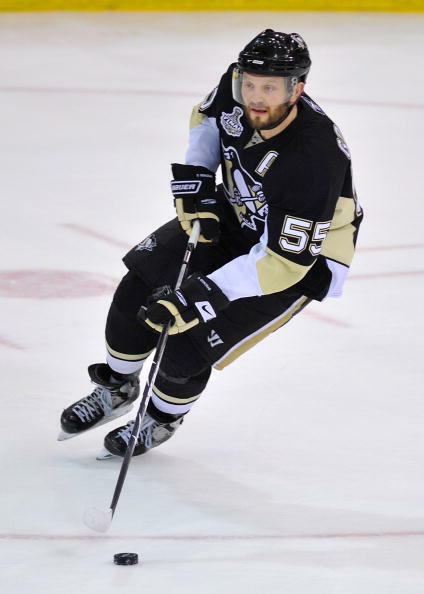 The smooth-skating defenseman played the next five seasons with Pittsburgh scoring 54 goals and adding 205 assists for 259 points in 322 regular season games. 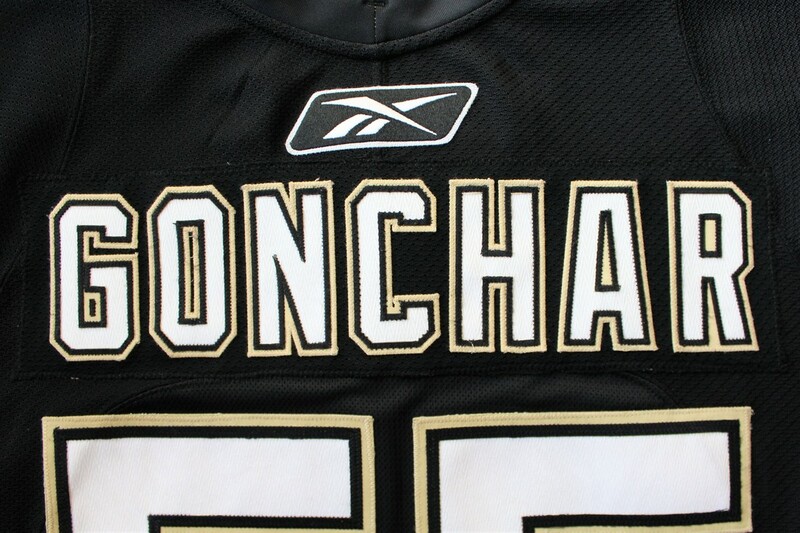 After suffering a dislocated shoulder in the first game of the 2008-09 pre-season and missing the first 57 games of the regular season, Gonchar returned on February 14, 2009 at Toronto. 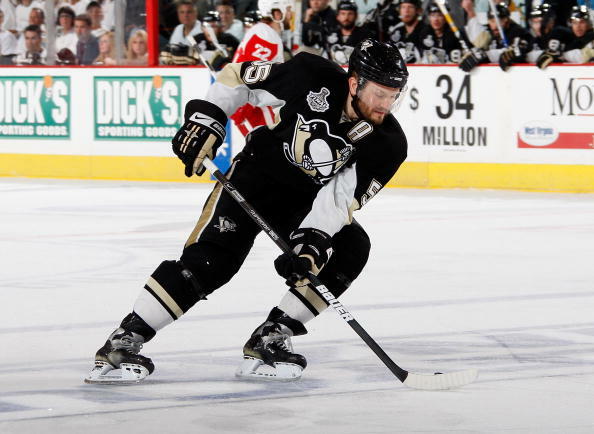 He played in the final 25 games of the regular season recording six goals including five on the power-play and 13 assists. 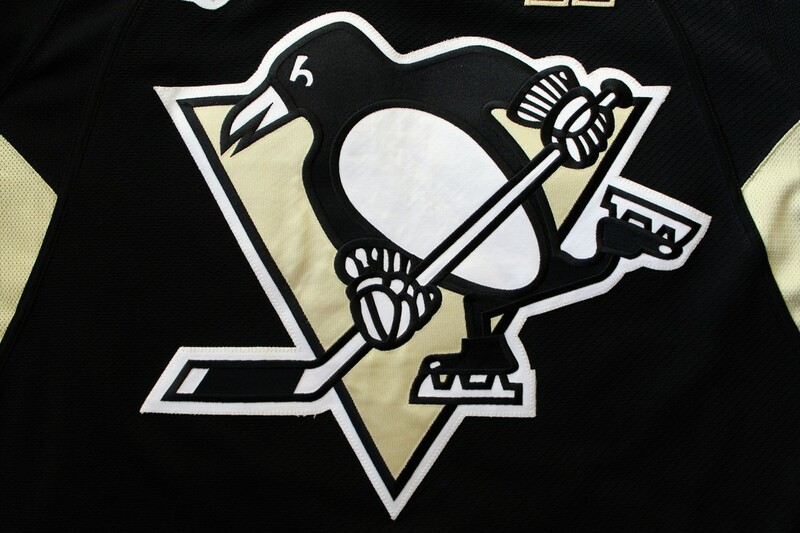 Gonchar played in 22 of the Penguins' 24 Stanley Cup Playoff games missing Games 5 and 6 against Washington after a devastating knee-on-knee hit from fellow countryman Alexander Ovechkin in Game 4. 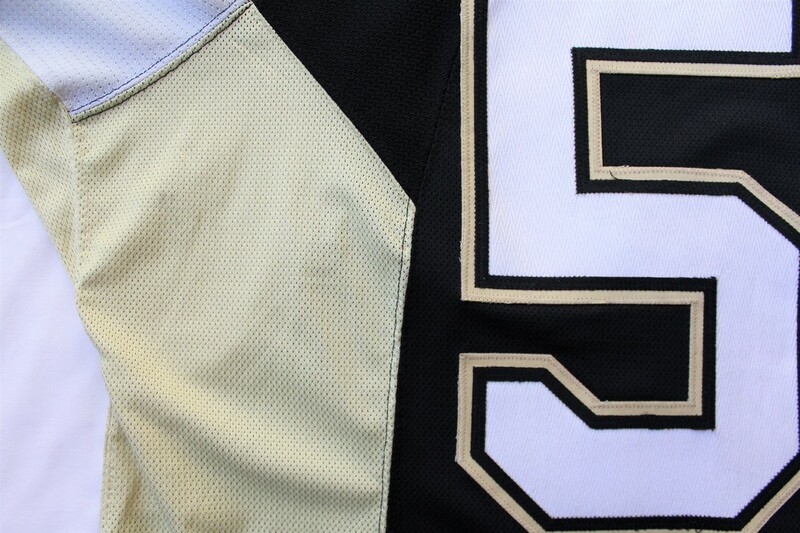 He recorded three goals and 11 assists in the Playoffs. 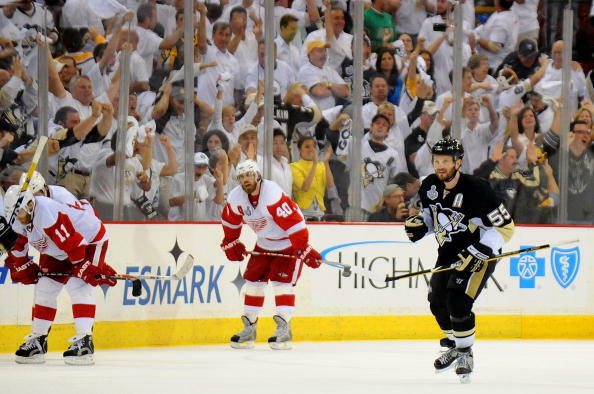 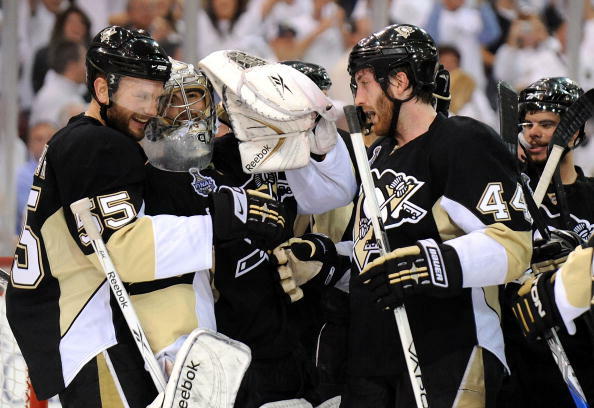 With the Penguins trailing in the Stanley Cup Final series 2-0 and entering the third period of Game 3 being outshot 26-11 with the game tied 2-2, Gonchar's game-winning power-play goal with 9:31 left in the game propelled Pittsburgh to victory and the momentum of the series shifted. 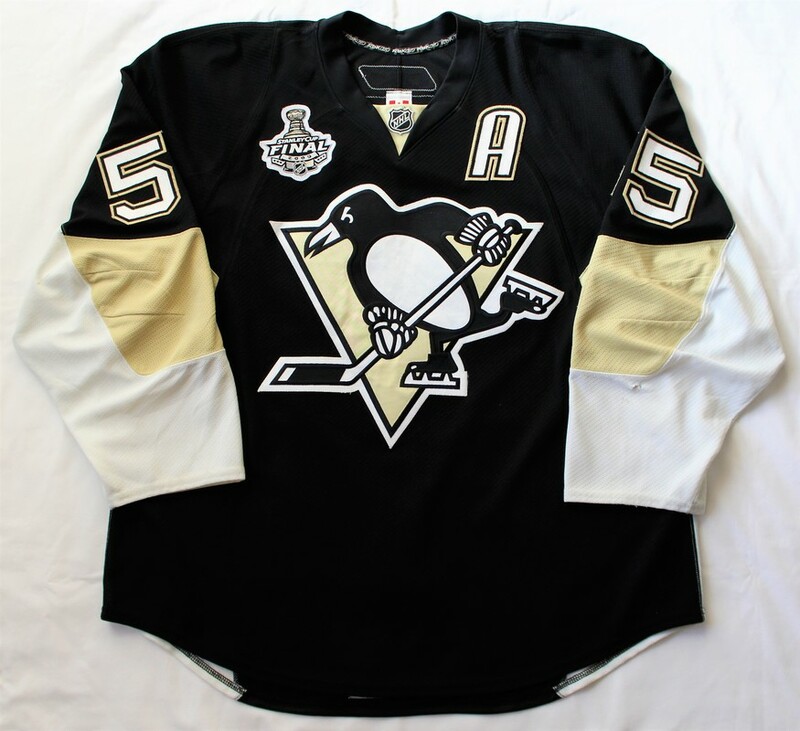 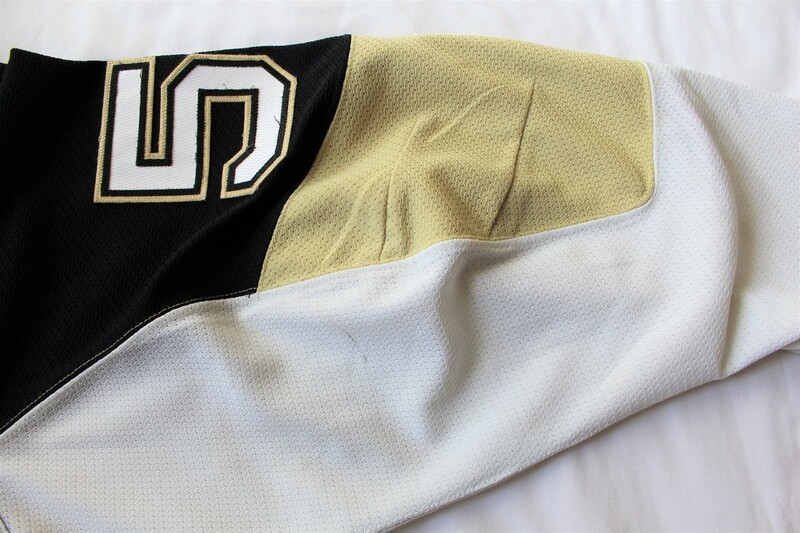 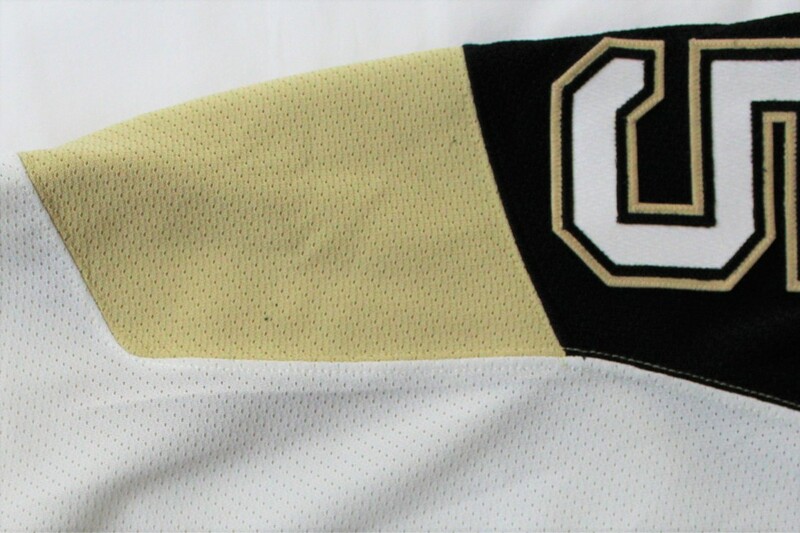 ​This jersey was worn by Penguins defenseman Sergei Gonchar in Games 3, 4 and 6 of the 2009 Stanley Cup Final vs. Detroit. 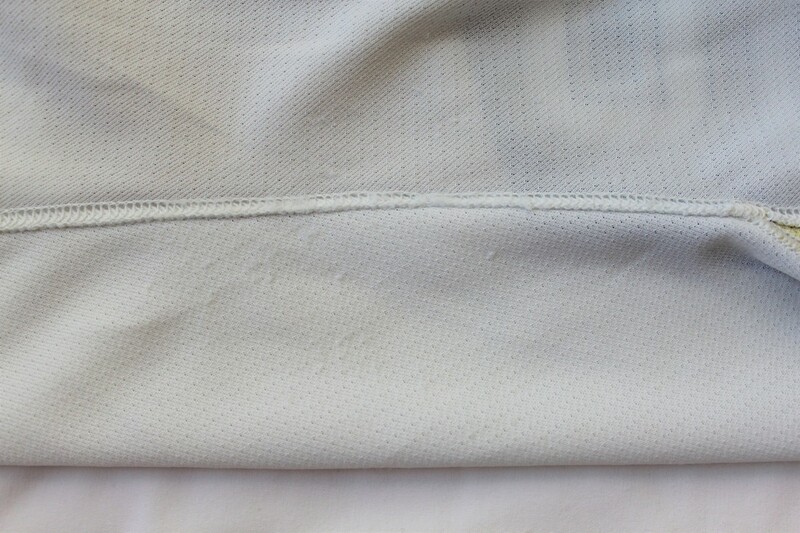 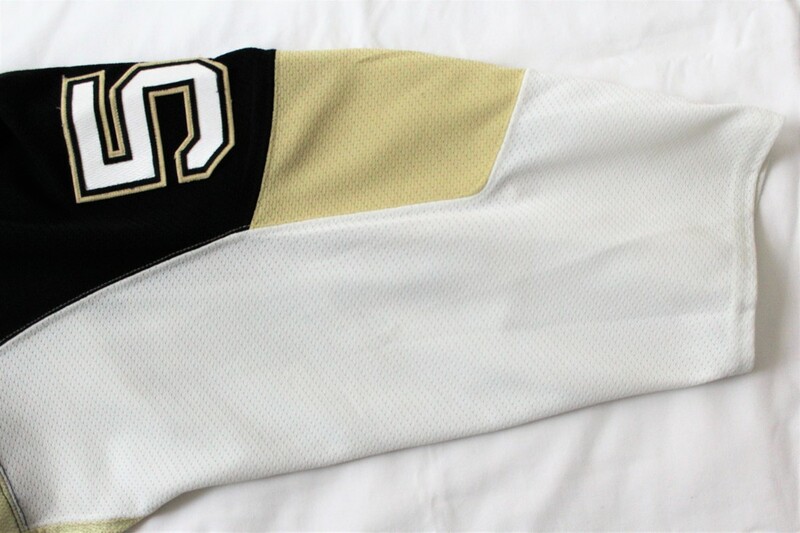 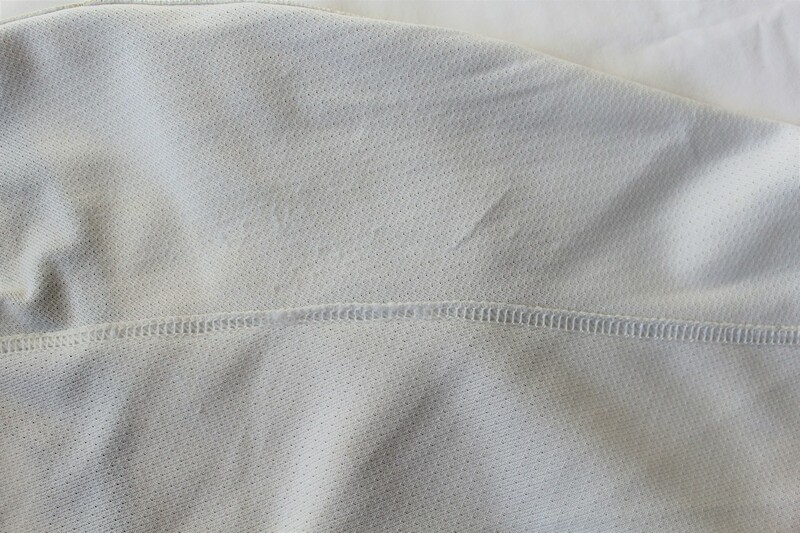 The jersey was acquired by PenguinsChronicles.com on January 8, 2017 from a private collector. 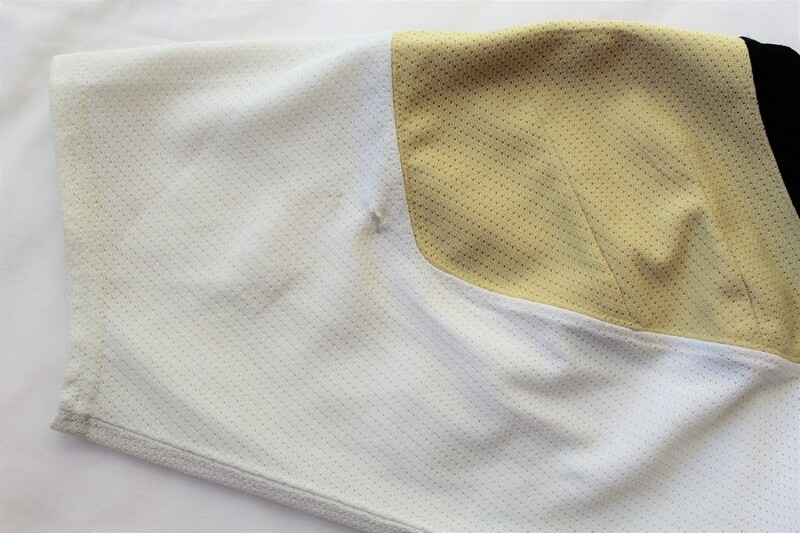 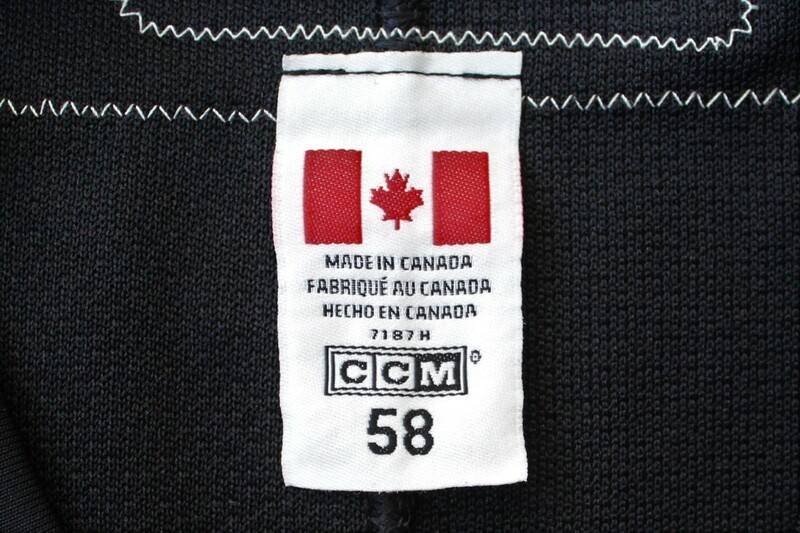 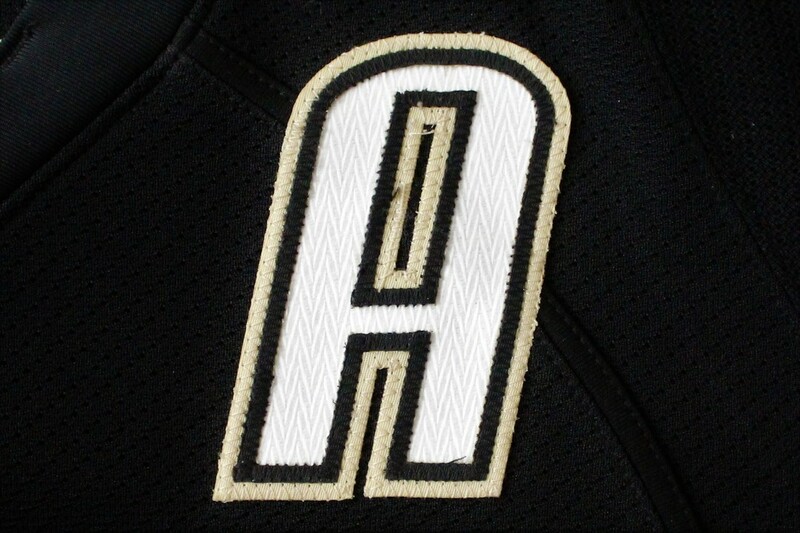 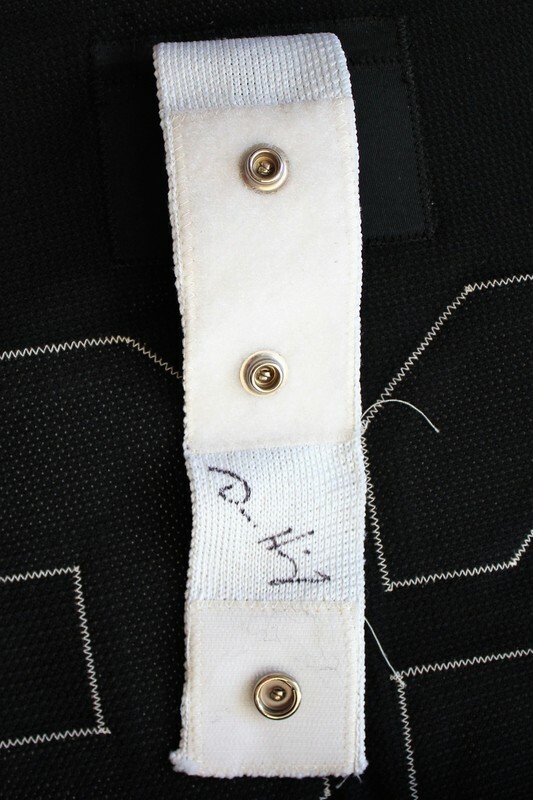 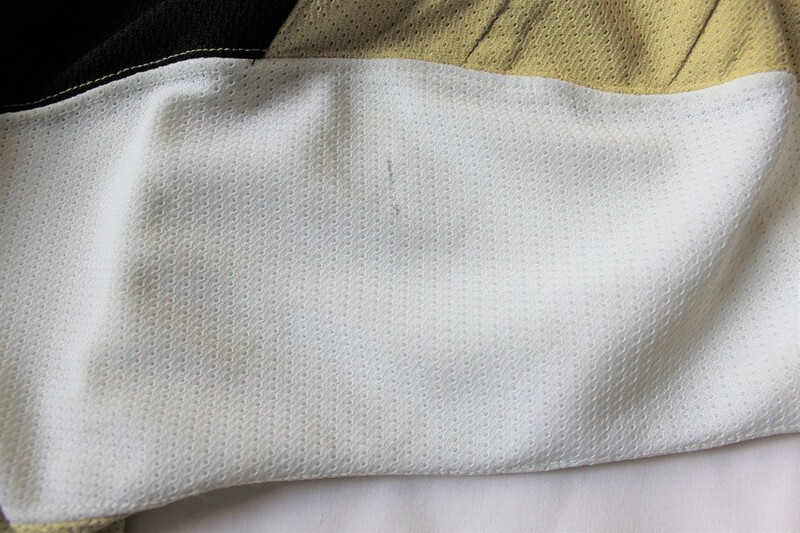 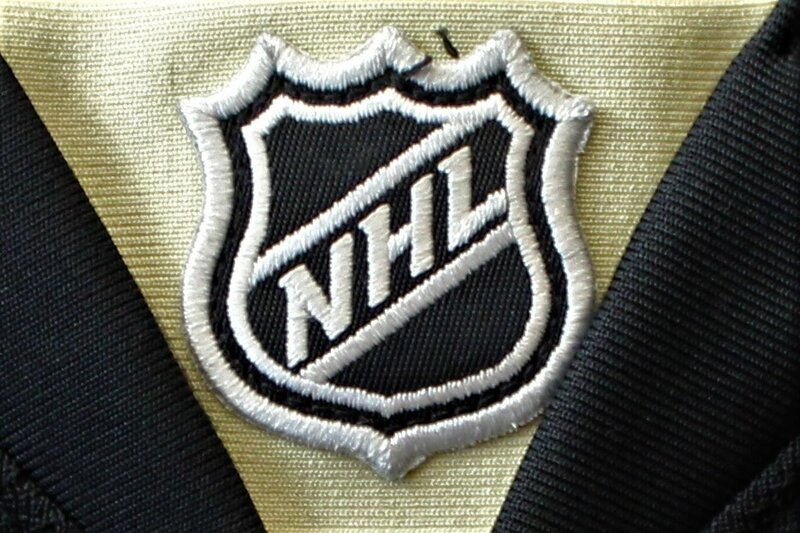 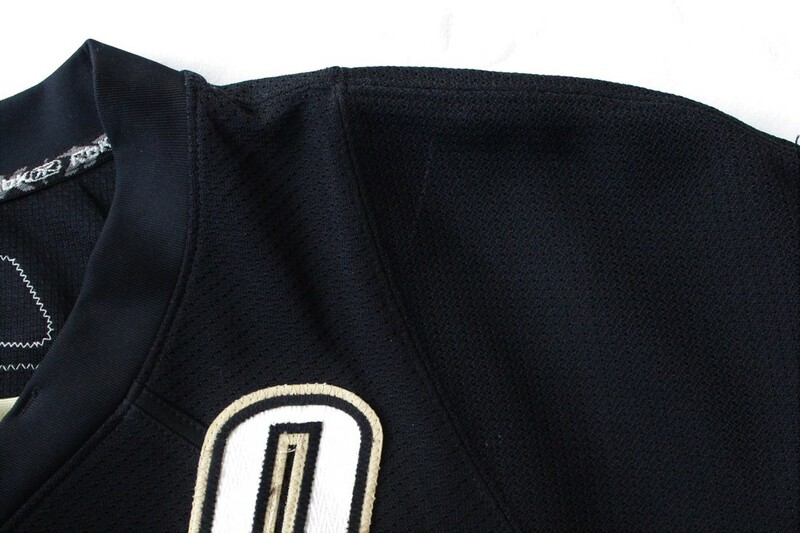 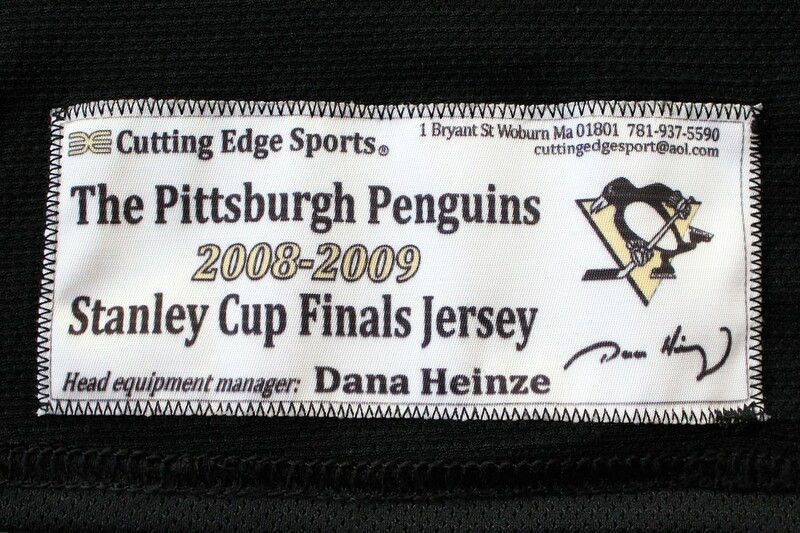 The jersey was originally sold by J&J Distributing who purchased the entire set of 2009 Stanley Cup Final jerseys directly from the Pittsburgh Penguins on June 29, 2009. 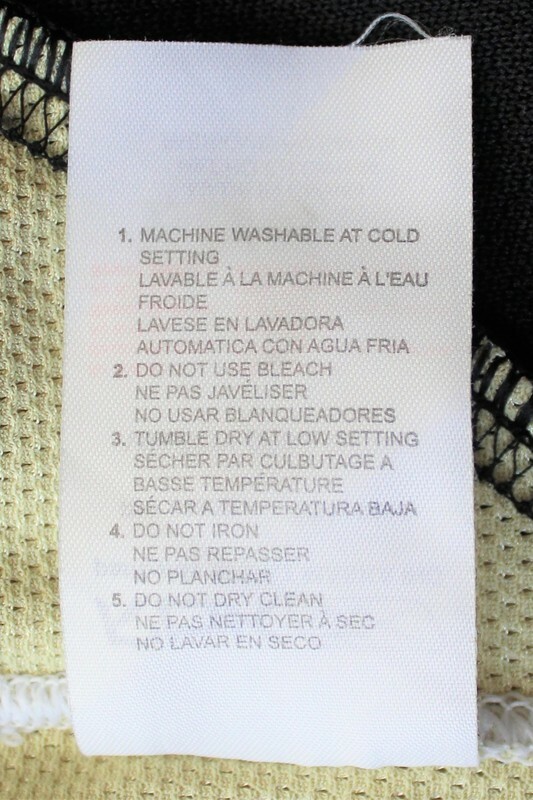 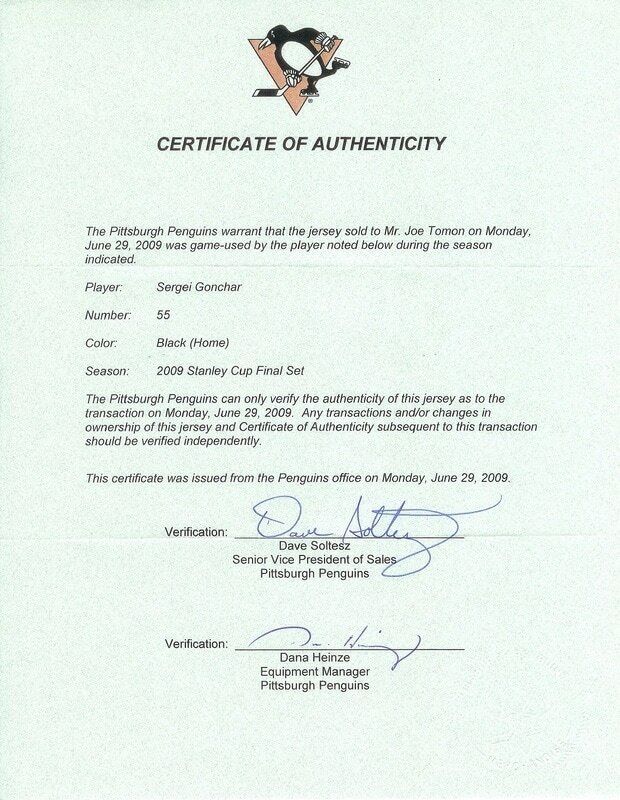 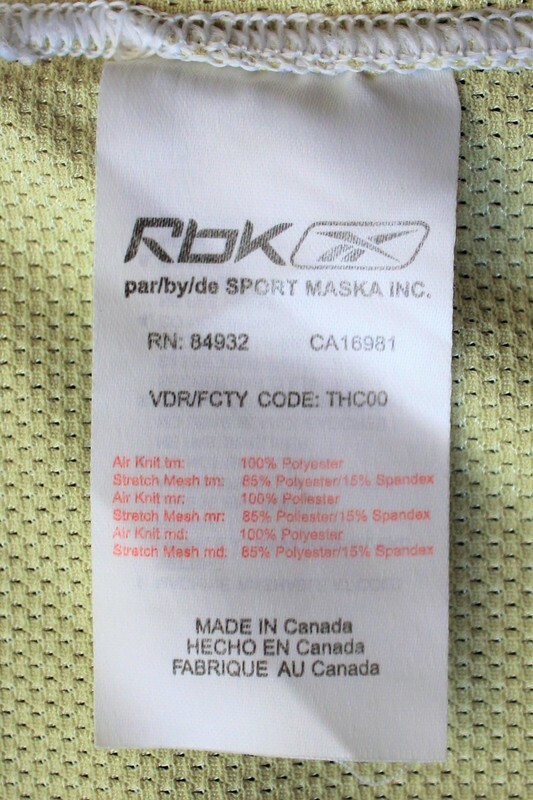 The jersey comes with a Certificate of Authenticity from the Pittsburgh Penguins.